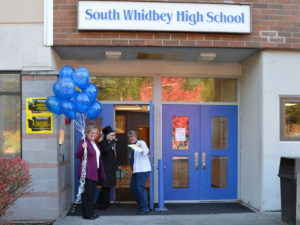 Thirteen teachers received in-person notifications that their classroom grant requests are being funded by the South Whidbey Schools Foundation. 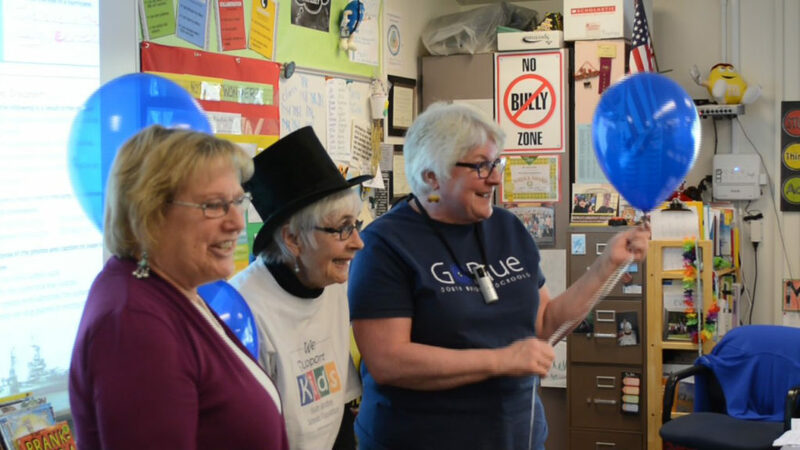 Three Foundation Board members paid surprise classroom visits to relay the good news to teachers and disburse $19,962 in grants. “The requests included specialized science kits for soil erosion experiments, resources for expanding the High School farm program, funding off-island trips of cultural significance for South Whidbey Academy students, a mobile planetarium visit to enable fourth-graders to study the moon and stars, special attachments for graphing calculators to enable Algebra students to work collectively on problems, improvements to the choir and dance practice classroom, new books and media for the High School library, robotics kits, and more,” said South Whidbey Schools Foundation President Chris Gibson. “The great news is we still have funds available for additional requests and will be encouraging district educators to contact us for off-cycle grant funding,” Gibson added. One project, 5th grade teacher John LaVassar’s popular “Salmon in the Classroom” program, was adopted for a second year by the Holmes Harbor Rod and Gun Club’s Safety and Education Fund. “This is a good fit for our Club’s values, and we hope to make this an ongoing relationship,” said Steve Mooney of the HHR&G Club, who presented a check to LaVassar on Nov. 1 at the South Whidbey campus. So far the Foundation has provided more than $245,000 in classroom grants with monies raised through its Dine Out For SW Schools program, a Spring fundraiser, and an end of year donation campaign. Debra McMenamy and Jean Shaw of the South Whidbey Schools Foundation surprised 4th grade teacher Rachel Kizer with the news that her classroom grant “Fly Me to the Moon and Let Me Play Among the Stars” was fully funded. The grant will fund bringing a mobile planetarium to the school campus. The notification was part of the Foundation’s disbursement of $19,962 in classroom grants.